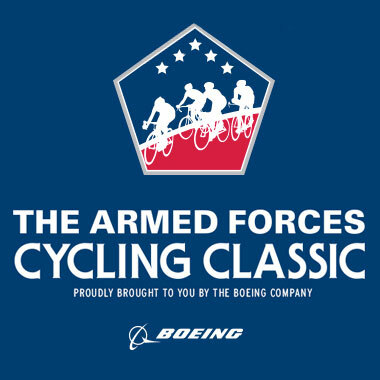 "The Armed Forces Cycling Classic, proudly brought to you by The Boeing Company, will take place on June 1-2, 2019 in Arlington, Virginia. The Armed Forces Cycling Classic is the region’s premier cycling event. Cyclists of all abilities will be able to participate on Saturday morning’s Armed Forces Cycling Classic Challenge Ride. Organizations and individuals are invited to enter as part of the Corporate Challenge to promote employee engagement and community involvement. Companies, as well as individuals will also be able to fundraise for one TAPS, this year’s designated beneficiary. The Challenge Ride is open to cyclists of all abilities, and will consist of a 10-kilometer loop in and around the Pentagon, Crystal City, and Rosslyn. Cyclists will complete as many loops as they wish in a within a 3-hour time period. Medals will be given to all participants based on the number of laps they complete. See Armed Forces Cycling Classic website for more information. Race weekend is fun for the whole family, including Kids races, a cycling expo, and opportunities to connect with your TAPS Family. After you have registered as a Corporate Challenge Team or as an individual participant, then register here with Team TAPS.